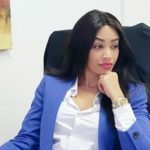 Class, elegance, smart brain and hard worker best define Ugandan business woman, Zari Hassan who has come out to bash claims that women are too expensive. Formerly married to bongo artist, Diamond Platinumz, she definitely left no strings attached and is more than glad that they parted and is now living like the Queen she is. Additionally, she is multi-talented and comes in handy in advising men. On her Insta story, she articulates: Find a woman with a brain. They all have vag***s. Furthermore, she tells of broke men who think women are too expensive: Ni**as be like you high maintenance. Nah bro, you just broke. The post ¨Nah bro, you just broke¨ Zari Hassan comes out to bash off men who think women are too expensive appeared first on Ghafla! Kenya.